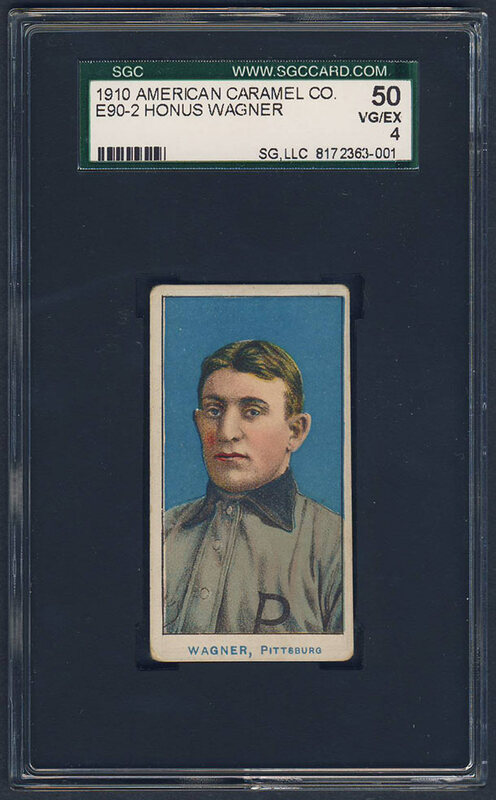 One of the game's first five inductees to the Hall of Fame, Honus Wagner hit over .300 17 consecutive seasons. Bowlegged and awkward looking, Wagner possessed tremendous speed and range afield. 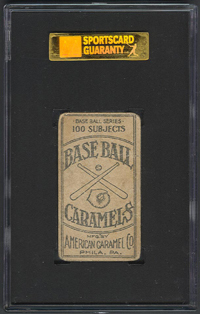 For his 21-year career, the shortstop had 722 stolen bases and a .327 batting average, highest of any shortstop. 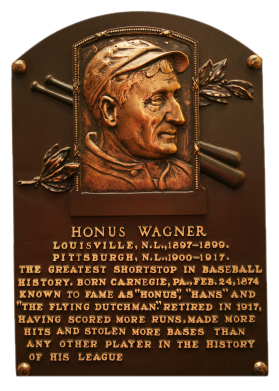 Honus led the NL in batting eight times, slugging six times, RBI four times, runs scored twice, and doubles eight times. 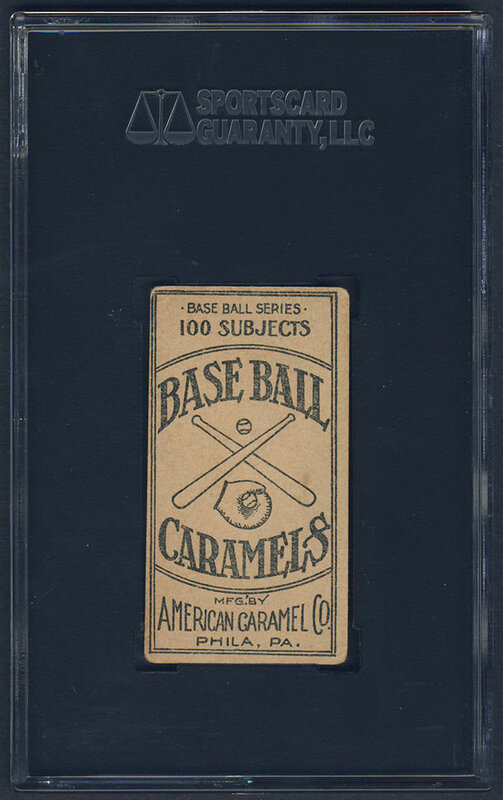 "The Flying Dutchman" accumulated 3,415 career hits, 640 doubles, 252 triples, 1,732 RBI, 1,736 runs scored, and 963 walks. Many consider Wagner the greatest player of all time. UPDATE: In July, 2016 a really nice PSA 4 example showed up on eBay with a large Buy It Now price tag. Having dealt with the store previously, I tried to negotiate it down off eBay but it didn't work out, mostly because the item was a consignment and the seller didn't want to budge. 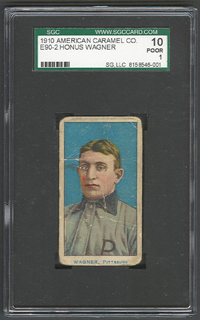 Luckily a few weeks later a comparable SGC 50 was listed by a different seller. The centering was a little off l-r but the color POPPED! After some back-n-forth we were able to come to a deal and I was the proud owner of a huge upgrade, a new centerpiece in the collection. It took the post office a long, long week to deliver the card via registered mail but once in hand, it was worth every minute. 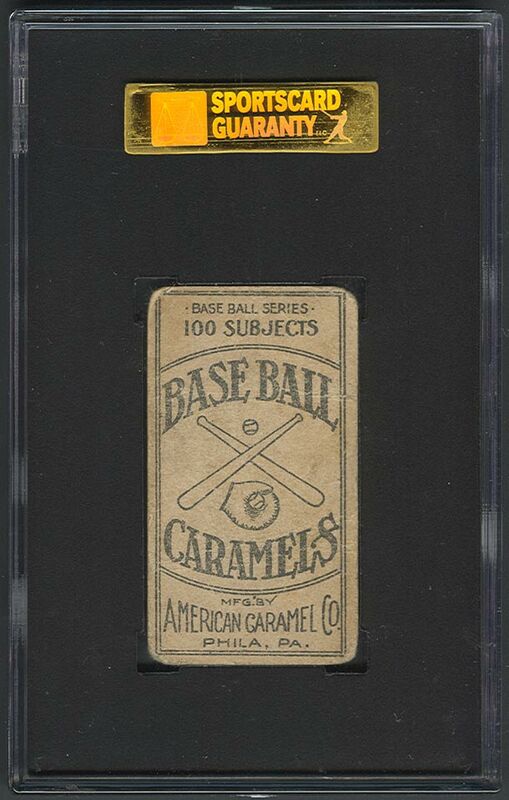 Description: Closely related to the E90-1 American Caramel set, the E90-2 set consists of 11 cards featuring members of the 1909 champion Pittsburgh Pirates. The cards measure 1-1/2" X 2-3/4" and display a color lithograph on the front with a solid color background of either red, green blue or pink. 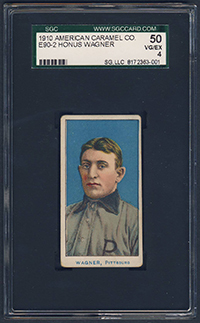 The player's name and "Pittsburg" appear in blue capital letters in the border beneath the portrait. 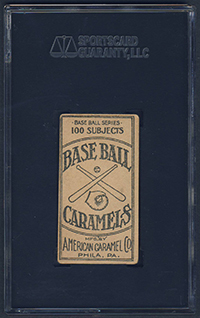 The backs are identical to those in the E90-1 set, depicting a drawing of a ball, glove, and crossed bats with the words "Base Ball Caramels" and a reference to "100 Subjects".